Thinking About Putting an Addition on Your House? If you’re thinking about adding another room on to you home instead of purchasing a larger home and moving, you’re not alone. Often homeowners do not want to pack up their families a move because they have fallen in love with their homes. Most don’t want to move their kids to a new school district or move away from their beloved neighbors. Another option to increase the livable space in your home is to add on another room – whether it’s a new bedroom, additional bathroom or even a larger living room or kitchen. The average cost to add on a room is around forty thousand dollars; however, additions have been done for less than ten thousand dollar as well. It all depends on the type of construction needed. Average construction costs run between eight to two hundred dollars per square foot. Finishing the room may increase your cost depending on the materials you choose such as flooring selection, windows, and architectural details. If you want to increase your square footage of your home without increasing the footprint of your home, building up is a great option. Adding a second store enable you to add space without creating a new foundation; however, your general contractor will need to ensure there are no building code limits on the height of your home and that the existing structure will support the added weight. Another concern is that there is ample space for any staircases needed as a staircase typically uses up to 120 square feet of living space. And finally, most homeowners will want to know if the addition adds value to their home. Even if they don’t have any plans to sell anytime soon, the resale value should be considered. The first step to adding a room on to your home is to work with your general contractor and agree on a design, price and schedule. 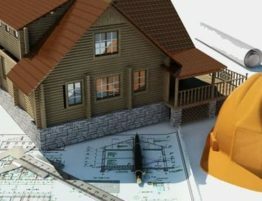 Normally, a general contractor will expect a partial payment of the project upfront and then after specific benchmarks in the project additional payments will be made. There will be some amount of money held back until the final CO or certificate of occupancy is completed.